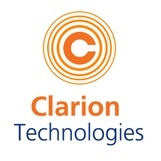 Clarion Technologies offers Small and Medium Enterprises a powerful and convenient way to build software products and solutions by creating world-class, dedicated global team of Virtual Employees. Over the past 17 years, we have successfully delivered projects for more than 1100+ SMB clients with the help of our virtual teams.These virtual employees provide you with exact skill sets, process rigor and quality commitment that you look for in your projects. We assure you:Minimum 3+ years’ experienced developers (No Freelancers)Dedicated 40 Hrs./weekCommissioned by part time supervisor and quality auditorConsistent, seamless communication and collaboration throughout the projectFlexibility to scale up your team as your project grows (You can even start with a single employee)Our area of expertise:Web Application Development, Content Management Systems, Rich Internet Applications, Ecommerce, Cloud, Mobility, Software Testing and Internet of Things (IoT)Fast FactsSEI CMMI Level 3 organization qualified to undertake US army projects85% repeat business from our 1100+ SMB clientsMore than 80% clients from US alone17 years in operations, 300 + skilled developers, 3 large development centersStrong partnerships and certifications in leading technologies (Microsoft, Zend, Magento, Shopify etc. )Agile development methodology: Anytime, anywhere project visibility through CloudSeamless communication with the assigned team via Chatter, Skype, asana and cellular phone numbers, sharing 24*7Strong documentation using Online Project Management tools and NDA across the board.Try out our 2-weeks risk free trial today. 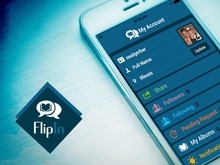 Intellectsoft Group is the leading provider of mobile software development services.